And also please make music for this mod! WOW!!!!! 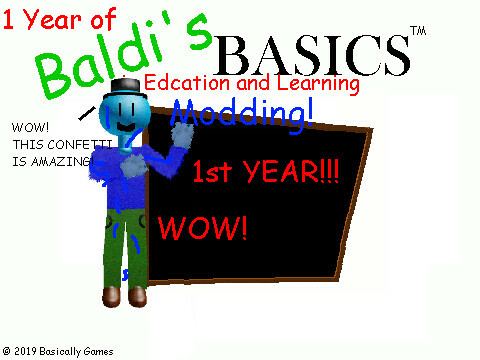 One year of baldi modding! Other game modding communities also been modding longer then us, But.. Why not celebrate? With a mod! Wow, thank you for adding me in this mod. There better be some references to Garfielf's Guide, John Maddens Basics, And Mario's Basics 64, and every single mod ever. Sorry chief but if Andrews Basics isn't referenced, than you're dead meat. Download in April 22nd. Hmmmmm. 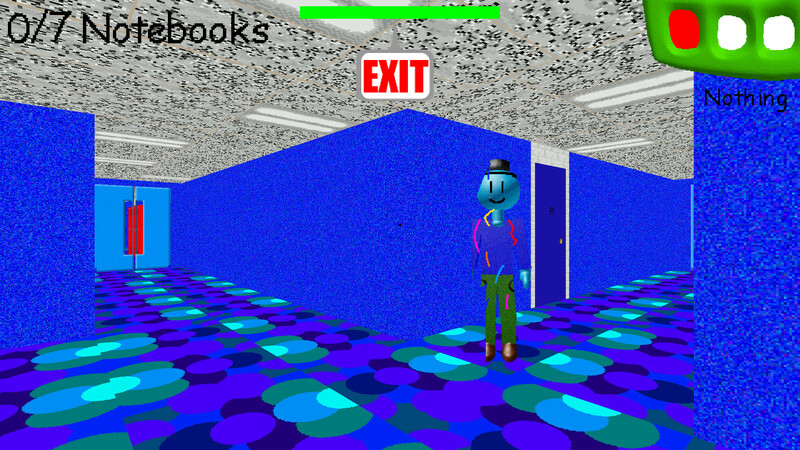 John Madden's Basics is the first baldi mod in April 22nd. I got it. 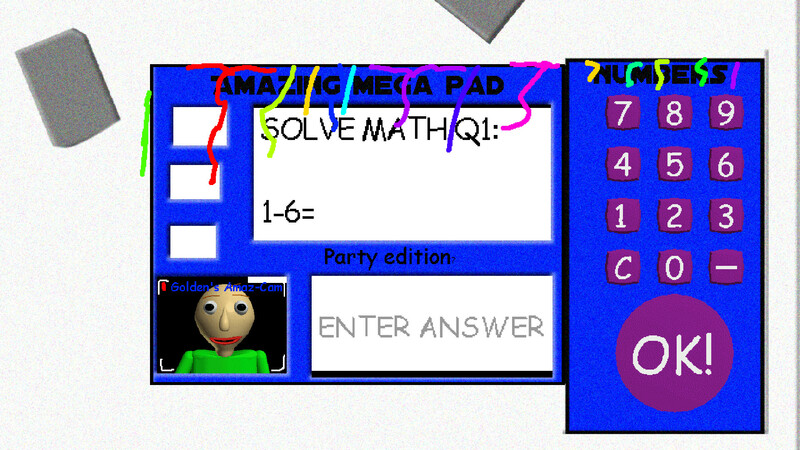 I think GoldenBoots is going to put the download on John Madden's Basics's Birthday. Will it be released in April 22nd? 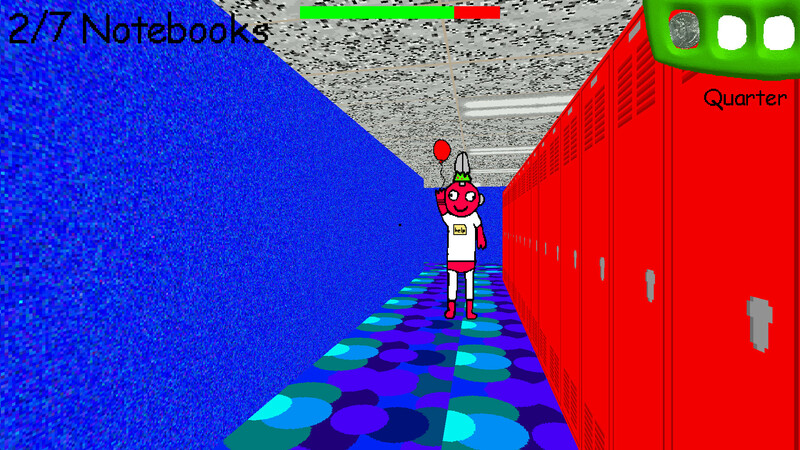 Because Madden's Basics (the first Baldi mod) was released in April 22nd, 2018. So i will post my sprite soon. I have finished part of the schoolhouse assets (Walls, Posters, Etc,) I also finished the wave animation because i don't wanna do it later so i did it now.